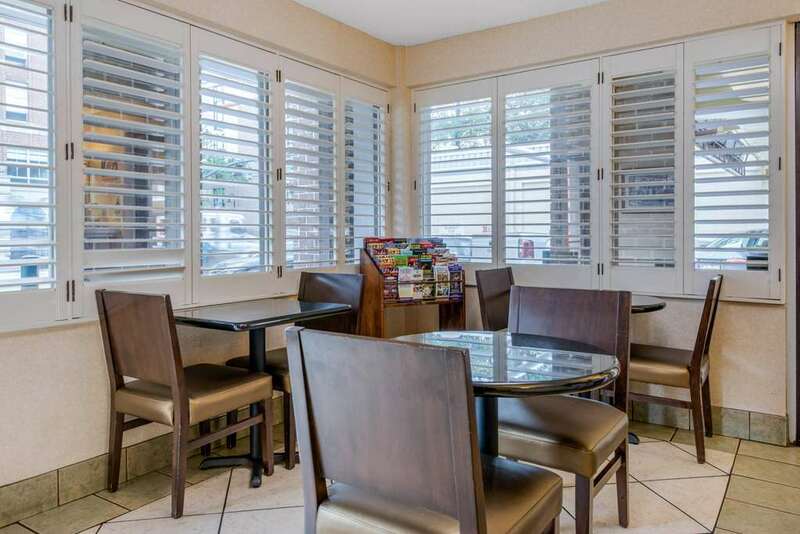 Get more value at the 100 percent smoke-free and pet-friendly Quality Inn Heart of Savannah hotel in Savannah, GA, which lets you relax and focus on the people and experiences that you came for. We are close to the Savannah Civic Center, River Street, Tybee Island, City Market and Savannah College of Art and Design. Enjoy such great amenities as free WiFi, free parking, free continental breakfast, free coffee and free weekday newspaper. Relax in your cozy guest room, which features a refrigerator, coffee maker, premium bedding, iron and ironing board. Also, earn rewards including free nights and gift cards with our Choice Privileges Rewards program. Pets allowed 35.00 USD plus tax per stay. A maximum of 2 pets per room and a maximum of 20 pounds.